Parents want nothing more than to give their kids more reasons to laugh and smile. 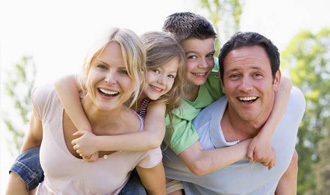 Helping your kids keep their smiles whole and healthy throughout dental development is essential. At The Dentists at Orenco for Kids, we’re here to help Hillsboro parents and kids develop healthy smiles in a dental office where parents feel welcome and kids feel right at home. 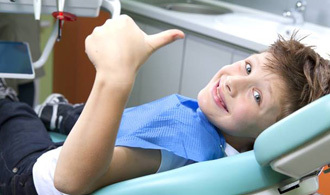 One of the many kid-friendly dentistry services we provide to young patients is fluoride treatment. These oral or topical treatments help kids strengthen their teeth to reduce the risk for tooth decay and dental wear. Best of all, it’s an easy and painless treatment method that can help your child build positive associations with the dentist and learn to love caring for their smiles. Call our Hillsboro team to find out more or schedule an appointment with us. We look forward to helping kids with all of their oral health care needs. During the development of healthy tooth structures, patients need to receive adequate levels of ingested fluoride to create strong, healthy enamel. Once teeth erupt from the gum line, topical fluoride is essential to keep the enamel strong, healthy, and free from decay. Fluoride is a mineral that helps to strengthen smiles. Every day, smiles are constantly going through demineralization and remineralization. As acidic bacteria, plaque, and foods and beverages attack teeth, minerals are removed from tooth enamel. When you brush teeth with fluoridated toothpaste or use other fluoride treatments, these minerals are replaced to keep teeth strong. When there are not adequate levels of fluoride and other minerals to prevent demineralization, the result can be decay and softening of enamel, which can lead to dental wear, chips, and cracks. Many children receive fluoride from drinking water that helps as their teeth develop. Fluoride also occurs naturally in a variety of foods. If we’re concerned your child isn’t receiving adequate levels of ingested fluoride during dental development, we’ll work with you to plan for treatment using fluoride supplements. More kids are drinking bottled water, which often makes it necessary for us to provide fluoride supplements to replace the minerals they would receive by drinking tap water and ensure the development of whole, healthy smiles. Oral fluoride therapy is really only recommended for young children who are still developing their primary or adult teeth. Once teeth erupt, topical therapies are necessary. For some kids, we may recommend higher levels of fluoride in at-home hygiene products or professional fluoride applications during six month dental checkups. We don’t want kids to have too much fluoride exposure, so it’s important to discuss any additional oral or topical fluoride treatments you’re using. This allows us to plan for safe and effective fluoride treatment. 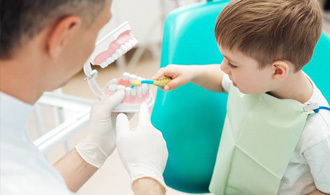 During your child’s regular six month dental checkups and teeth cleaning appointments, we will help you determine whether or not they need to receive fluoride supplements or topical treatments to assist them in avoiding cavities. Many children do just fine with the fluoride they receive from drinking water and their daily tooth brushing routine. If your little one does need fluoride treatment, we’ll be happy to provide these services.